The helicopter had arrived just as the sun began to rise over Bar 10 Ranch. I opened my eyes to the roar of its propellers directly overhead. 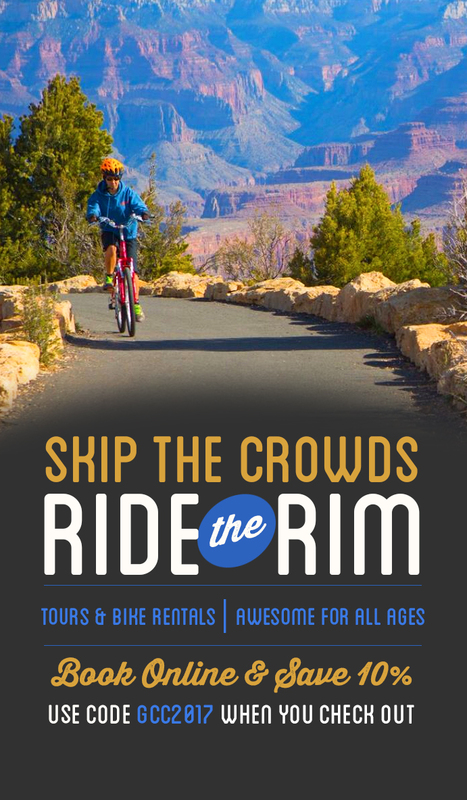 That was the sound of adventure, the sound of my ride to the bottom of the Grand Canyon. 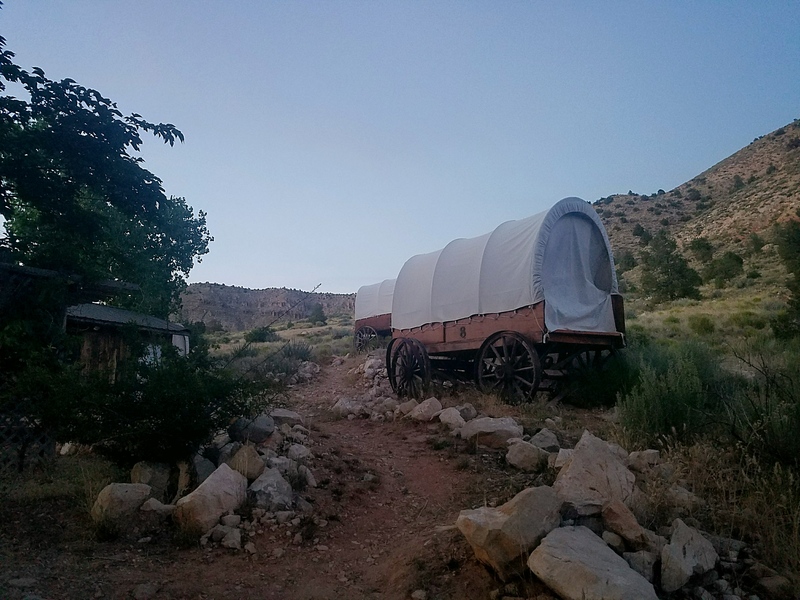 Normally, I would have lost sleep the night before a daring adventure, but luckily for me, my lodging consisted of a cozy, authentic pioneer covered wagon under the open Arizona starry sky. I had rested well, and was ready for the day. Excitement began to overwhelm me as I slowly rose from bed rubbing the sleep out of my eyes. I quickly threw on my clothes and began to undo the canvas ties around my wagon. Before I could lace up my shoes, the breakfast bell was echoing through camp. The helicopter had landed and silenced, allowing the native Southwest birds to sing their peaceful morning song. As I walked towards the kitchen, I exchanged smiles with other campers who appeared equally as excited for the day as I was. There was no time for sleeping in on a morning like this! The beautiful aroma of freshly brewed coffee and hot sizzling bacon filled the air. I loaded up a plate, grabbed a cup of freshly brewed cowboy coffee, and found a nice wooden bench to sit down and relax into the morning on. The view was stunning – a picturesque Southwest backdrop – as if a giant green screen from a Hollywood film had been placed around the ranch. Minutes later, the helicopter started back up, it was time to finish breakfast. 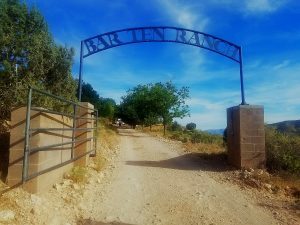 With my duffel bag in one hand, and a delicious cup of coffee in the other, I thanked the Bar 10 Ranch Team for their incredible hospitality and headed down the hillside to greet the helicopter.